Joshua Roman’s short-lived adolescent rebellion took place somewhere around age 12. He had already been playing the cello for about six years at that point, and decided he was ready to move on. Joshua Roman will perform music by Benjamin Britten, Aaron Jay Kernis, and music that he wrote himself at his recital on Thursday, March 15, in the Music Academy's Hahn Hall. Roman hurried back to his instrument, never again to question his choice of vocation. Today, at age 28, he is widely considered an unusually exciting performer—“a cellist of extraordinary technical and musical gifts” in the words of San Francisco Chronicle critic Joshua Kosman. He will give a solo recital at 7 p.m. on Thursday, March 15, in Hahn Hall, on the campus of the Music Academy of the West. UCSB Arts & Lectures moved his program to Montecito from its original location at the Museum of Art. In the process, it turned the gig into something of a homecoming: Roman studied at the Music Academy during the summer of 2002. He returned to town in 2010 to perform works by Tchaikovsky and Golijov with the Santa Barbara Symphony. Roman was born into a musical family: His father worked for many years as a choir director, and his mother holds that same position today. His parents played together in their college orchestra: He on cello, she on violin. By adolescence, he was branching out musically. “Around age 11 or 12, I started playing jazz bass,” he said. “From there, I went to electric bass and then guitar, which I kept up for a long time. In high school, I played and sang in bands. I only sold my guitars when I moved to New York a few years ago. I had a nice setup I had to get rid of. No room! After earning his bachelor’s and master’s degrees from the Cleveland Institute of Music, Roman spent two years as principal cellist of the Seattle Symphony. While he was aiming for a solo career, he recalls that time fondly, noting he learned “lesson after lesson after lesson” observing great conductors and soloists at work. On the subject of spiritual inspiration, it’s worth noting that Roman has also written an arrangement of the Led Zeppelin rock classic “Stairway to Heaven” for four cellos. While it won’t be on his program, “It’s on YouTube,” he said. How could it not be? 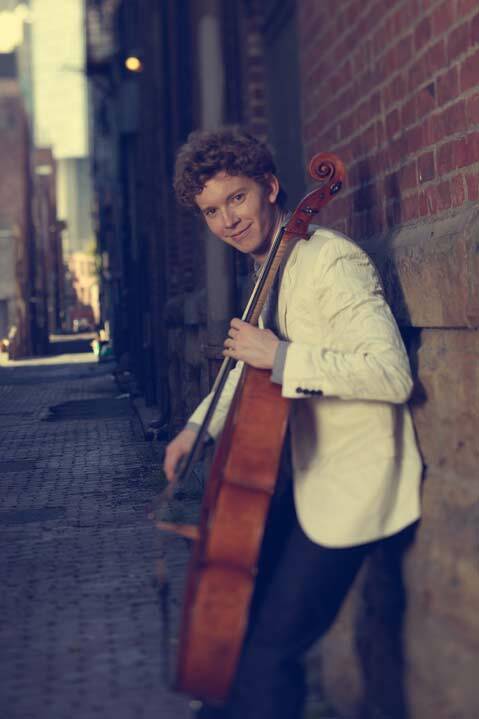 Joshua Roman’s solo cello recital at the Music Academy of the West’s Hahn Hall is on Thursday, March 15, at 7 p.m. For tickets and information, call 893-3535 or visit artsandlectures.sa.ucsb.edu.